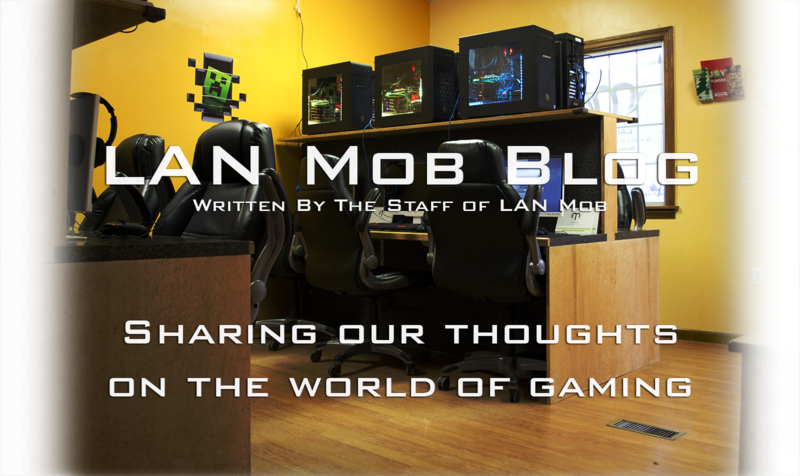 Drew touched on what it means to work at LAN Mob in his last blog post, and all of us employees probably have different opinions on that subject but I think we can all agree that LAN Mob is an incredible challenge. Now, I'm not complaining, I'm very aware of what I signed myself up for. Running such a specific business in a city like Rome brings so many challenges it's insane. Sacrificing all free time, working a certain amount of shifts per week, but volunteering the rest. Struggling to develop and strengthen communities, trying to be innovative, balancing what games to get the next month. I could go on and on about the very unique (yet incredible) stress of LAN Mob, but enduring it all is obviously worth it. Now one of the best unexpected things about LAN Mob is the incredible friends I've made and reconnected with working here. It's great to come in everyday and see the regulars! To have a community of people that support your dream job and basically make them happen is such an incredible feeling, but I'm finding out that this is a double edged sword. One of LAN Mob's regulars, DoomMuffins, is about to move away to Japan for a while to hunt down mad waifus (but actually for work). I'm not SUPER close with DoomMuffins, but he's a great dude! He's taught me a whole lot about League of Legends just by playing with him and listening to his thought processes and problem solving. He's the type of customer that walks in the building and the employees can't help but be glad to see him. I'm sure we'll see DoomMuffins again at some point and we'll play some league games etc, etc, but the feeling of a regular leaving really blindsided me. I suppose it's a good thing for a community to be tight enough to miss people, but damn it feelsbadman. Time to lock the rest of them in the basement.